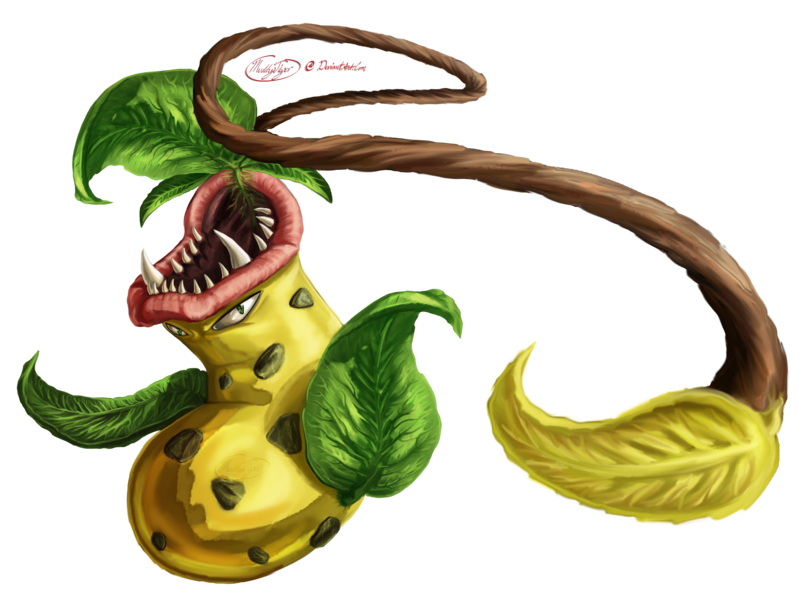 #071 Victreebel used Poison Powder and Vine Whip! Yggdrassal from the United States is an active part of the Game-Art-HQ Community since around two years and contributed a good couple of video game artworks that are about games that are rarely getting any attention now. He participated with a Timesplitters 3 entry as example and Rocket: Robots on Wheels as part of our Nintendo 64 Tribute this year. He joined the Pokémon Tribute with Dodrio in the first May week already and drew seven more of the little Gen I creatures. I recommend to check out his gallery where you can see a lot more video game fan art including more Pokémon love as well. 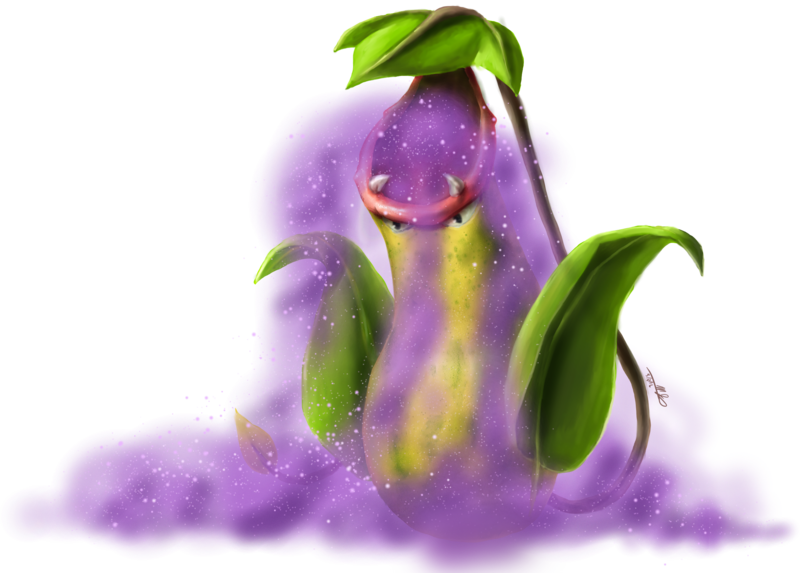 The Poison Powder move deals no damage directly but has a 75% chance of poisoning the opponent which will result in a steadily loss of HP until the effect dissapears. It is ineffective against Poison-type and Steel-type Pokemon though and is also obsolete if the opponent is guarded through Immune as its ability. MuddyTiger joined Game-Art-HQ this year and debuted with her take on Arbok which looked a lot more realistic and intimidating than the original design. After that one she drew Machoke and eventually also Blastoise, Graveler is her last one in the Gen I Tribute but I am pretty sure she will be back for more in 2017 when we will continue with Generation II! The Vine Whip is a pure attack move that was introduced in the classic Gen I Pokémon games. Like the Razor Leaf it is a Grass-Type attack, but it has no special side effects. It is the main special move of Ivysaur in Super Smash Bros. Brawl. 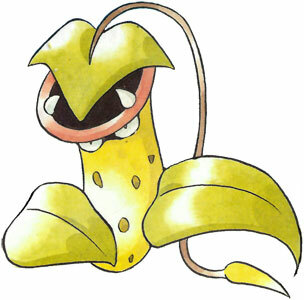 The Victreebel is the final evolution of Bellsprout which went a long way from looking like a cute little plant Pokemon to become this vicious big dual-type Grass/Poison Pokémon. Victreebel’s grow up to be around 1,7M tall and gain a weight of 15+ kg. They can often be found in small groups to hunt their prey. There is a very similar looking minor enemy in the classic Suikoden games btw.